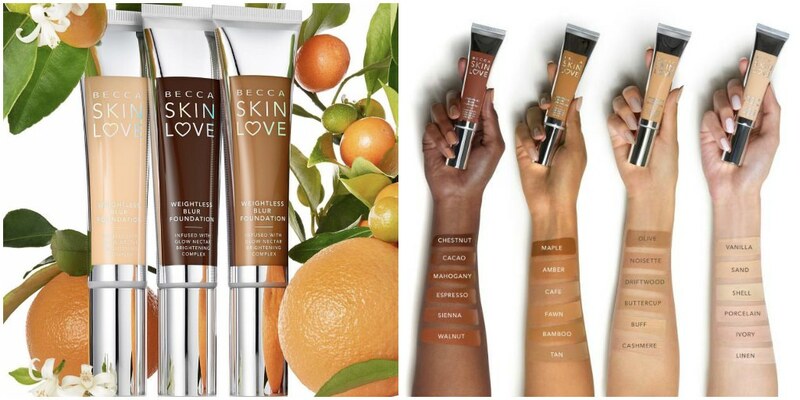 BECCA Expands into Skincare with Skin Love Collection! The new Skin Love line from BECCA is announced as a range made with a proprietary blend of natural ingredients and actives – the so-called “Glow Nectar Brightening Hydra Complex”. The collection is designed to help moisturize, nourish, and brighten the skin, both instantly and in a long run. 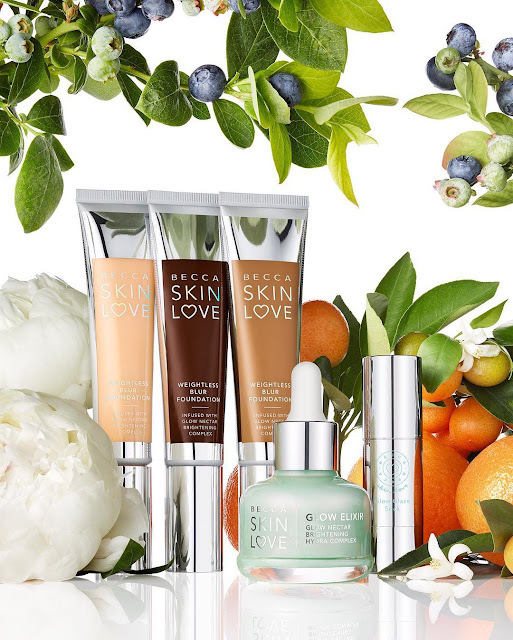 In addition to the brand’s first ever serum, Skin Love Glow Elixir, the collection includes two makeup/skincare hybrids: the Skin Love Weightless Blur Foundation, available in 24 shades, and the Love Glow Glaze Stick for a sheer, dewy glow. The brand’s first beauty serum that also doubles as a makeup primer. Loaded with moisturizing, antioxidant, and brightening ingredients, this freshly textured, water-based serum is instantly absorbed by the skin, leaving no greasy residue. 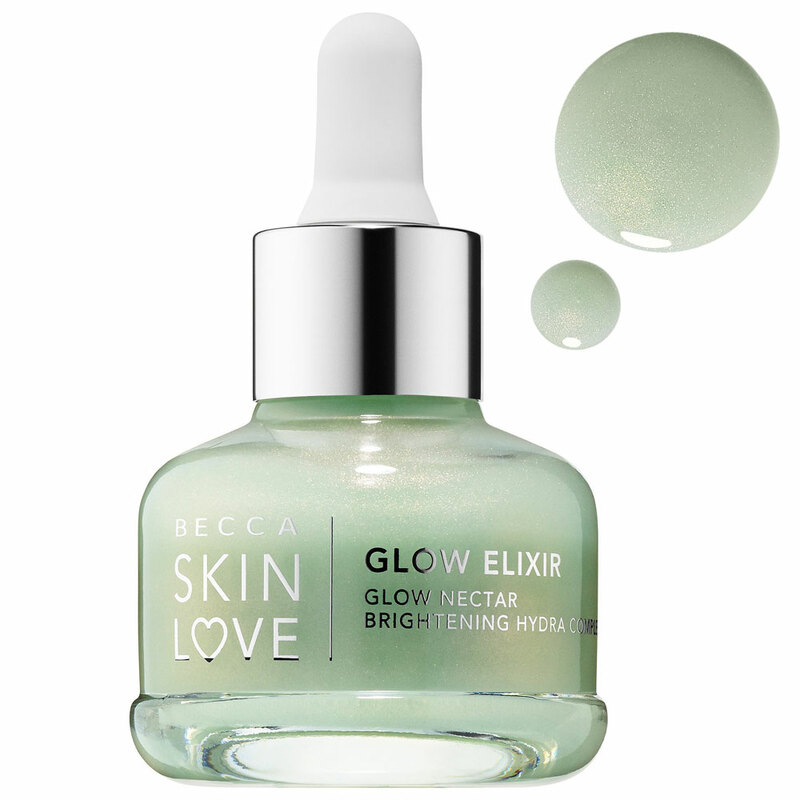 The minty-green, low-simmer tint helps to conceal redness and imperfections, leaving only a healthy-looking radiance. 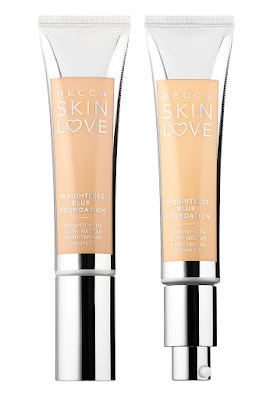 A medium-coverage, air-light, buildable foundation that hydrates, boosts radiance, and nourish. 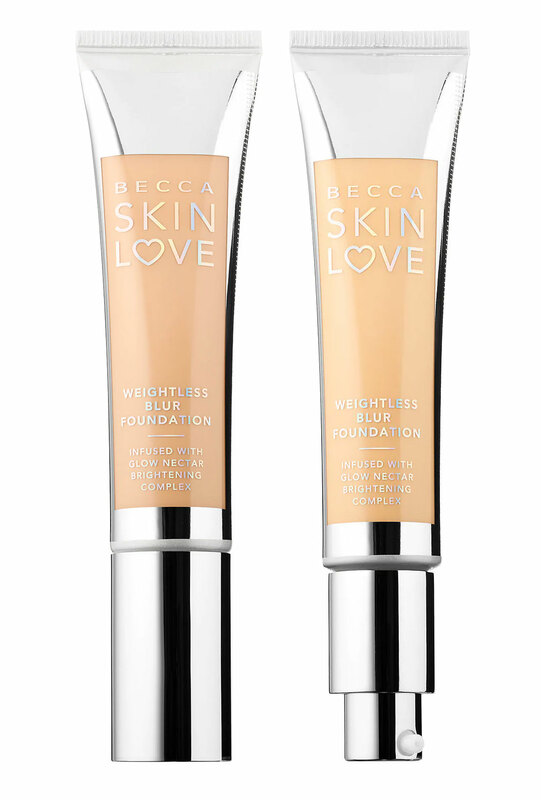 The formula includes weightless, pore-blurring pigments, and magically adapts to a skin type for a custom finish. Available in 24 shades. A chubby stick highlighter that creates a fresh, healthy glow. Available in one universal shade, it beautifully complements all skin tones. 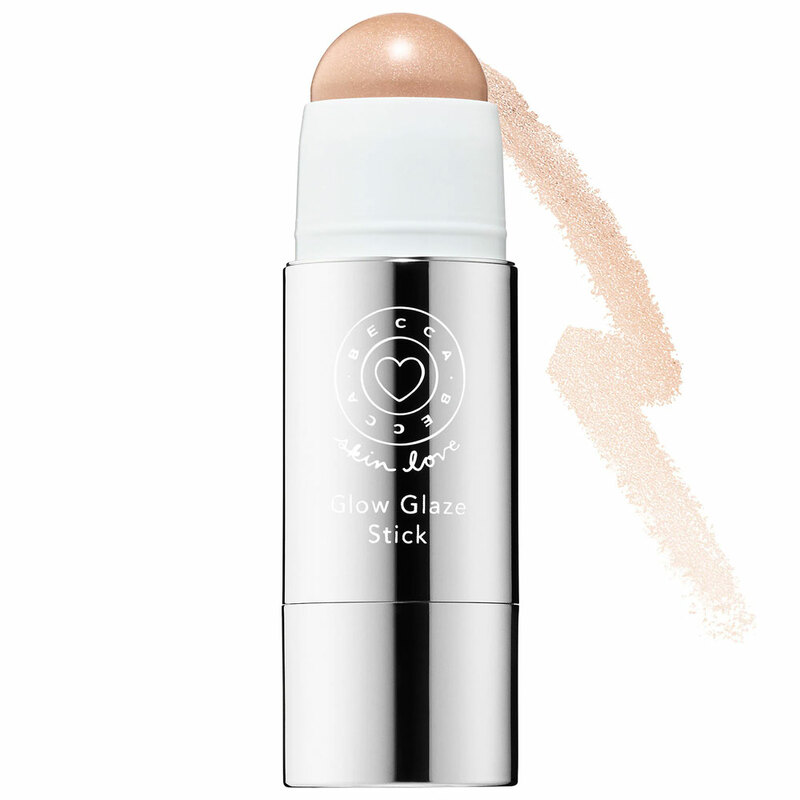 Creates a sophisticated, glazed effect whether you use it over foundation or directly onto skin.